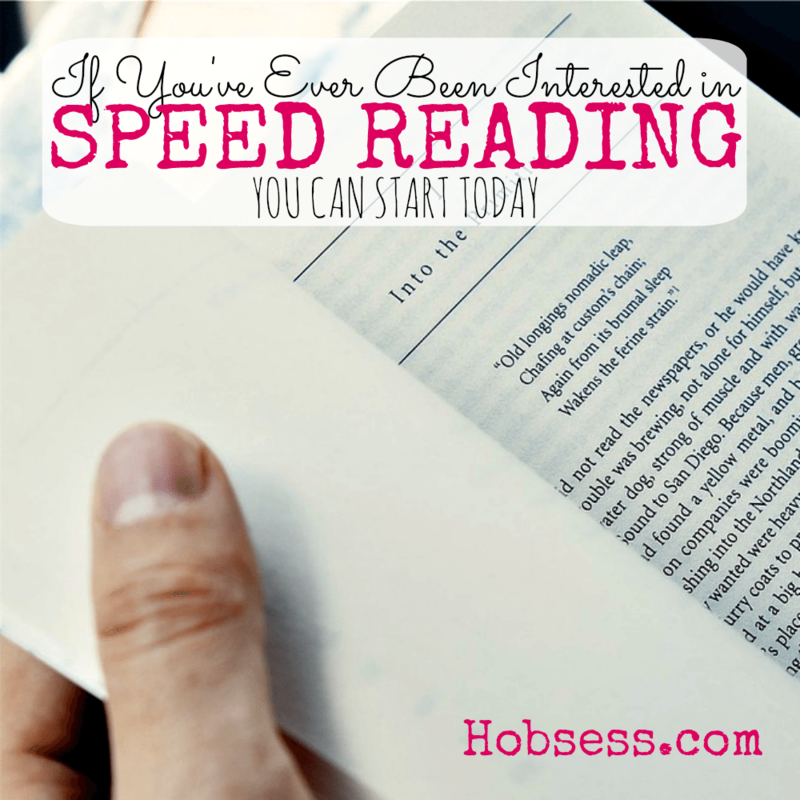 Speed Reading - Hobsess - Get ready to start your new hobby! So you are an avid reader and love to get lost in a good book. Consider becoming a speed reader to cover more information faster. Maybe you have to read for school or work. Learning to read at a faster rate can tap into the phenomenal brain power that you have. Learn a few speed reading tips from Tim Ferris. Are you just getting started or are you an expert? Get involved with others who share your interest and/or passion in speed reading. Try an Online Speed Reading Workshop! Go to this Speed Reading Board and click Follow. Follow Hobsess (Rev Crouse)’s board Speed Reading (LEISURE) on Pinterest. Thanks for sharing these tips. For several years I am still struggling to come over with subvocalization. This is still fine on my work-related emails but I can not avoid it on books or fiction text. Will try the suggestion in comments from Mark – however chewing gum while reading books may give me a headache. Will try it out anyways. Maybe you could try his suggestion of humming instead of chewing gum. Good luck on your improving this skill. I have gone through similar stages to improve my skills but also to get rid of some of the habits. Particularly subvocalization was tricky. I found chewing a gum or humming a melody to be helpful here in order to reduce it. What about you? What is your fave?